LINE is one of the most used instant messaging smartphone apps in Malaysia to communicate with friends and family. On June 12, 2014. LINE Malaysia division started a contest for those who are using LINE apps could vote their favorite team. 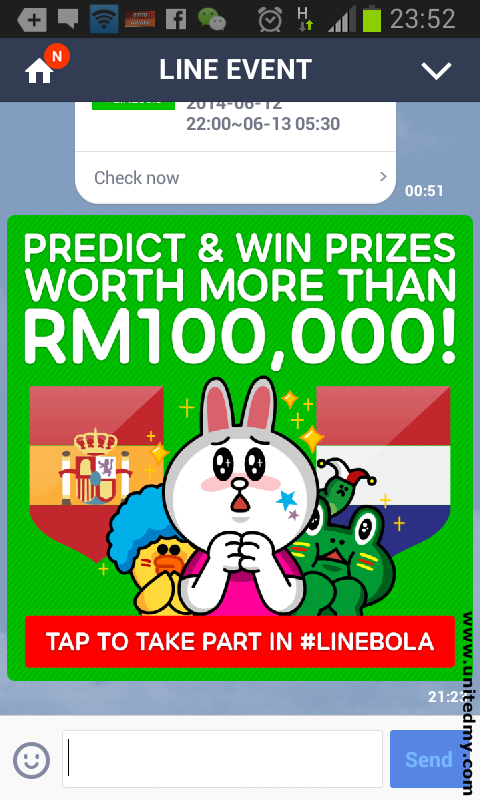 For example, Brazil and Croatia match on June 13, 2014 started on 4AM-6AM Malaysian time LINEBOLA is one of the platform for you to predict who will win and stand a chance to win some prizes. The tricky part will be so many people voted the Brazil you will notice the differences as statistic showing that Malaysian favored Brazil will win Croatia at almost 80% vote against Croatia. As a host of World Cup 2014, there is reason to believe Brazil will win due to Brazilian team will have advantage on adapting the weather and crowd of fans sitting at high platform were mostly support and cheer them. The prediction for Brazil will be the winner is fulfilled. Neymar and Oscar of Brazil team scored 3 although there were 1 goal by Croatia but it was not the case apparently it was a mistake by Marcelo in Brazil team strike a goal mistakenly to his own goal gate. In fact, Croatia gained first ever goal in FIFA World Cup 2014 versus Brazil with the help of Marcelo mistake. So who will be taking away LINEBOLA contest prizes ?? It is still unknown LINE Malaysia did not showed who were the winners . I guess we still need to wait a little longer. The accumulated prizes worth RM100,000. The prizes is included smartphones, flash drives and tablets. 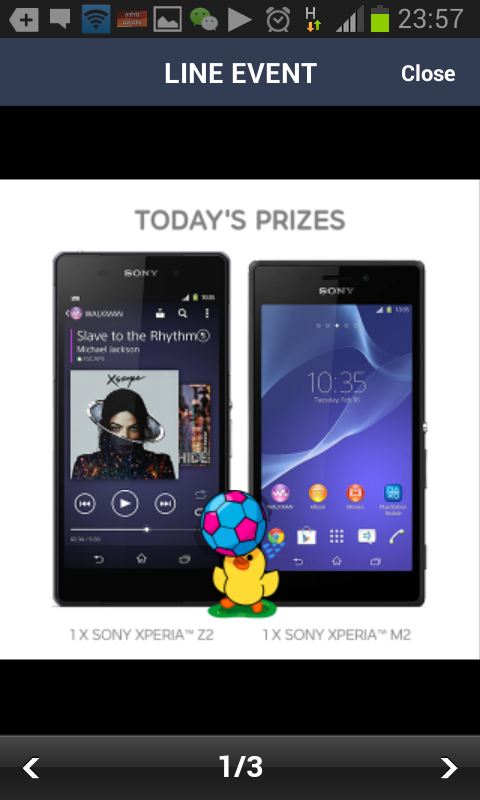 To join this LINE contest, you will first require LINE apps in your smartphone. This contest is not over yet. There is now a new vote taking place Spain vs Netherlands. It is your prediction whether Spain or Netherland will win this gruesome match. It will be started on 3AM-5AM on Malaysian time at RTM1. Your time is limited to vote your favorite team between the match Spain vs Netherlands as LINE Bola voting will be closed before the match ended. More than 30,000 Malaysian LINE users have picked their side. It seem that 22,000 flavored Spain will win against 6,300 Netherlands.